Whether you’re looking for reliable theft protection, need to keep track of a vehicle fleet, or want to sleuth on a family member, hidden GPS trackers covertly broadcast a vehicle’s location and travel data to your phone. Read along to learn more about the stealthy features of hidden GPS trackers for cars and discover our top five favorite trackers. The Optimus 2.0’s slender 3-inch body flawlessly mounts onto the bottom of any vehicle thanks to its durable magnetic case. From its discreet position, the Optimus can transmit detailed travel and position reports within 30 seconds of real time. The information is made available through the company’s easy-to-use smartphone app. For just $19.95 per month, you get detailed tracking data and text message alerts regarding your GPS tracker’s position. Unlike the hardwired alternatives, you can quickly and discreetly attach the Optimus to any vehicle of your choosing. As such, it’s a great choice for clandestine investigations. Though, users need to be aware of the legal implications surrounding these jobs. If you intend to use your GPS tracker for an investigation, you’ll also love this device’s unlimited data storage. This brilliant feature puts the GPS tracker’s entire history in the palm of your hands. The device even comes with a SIM card and preset data plan for a turn-key start straight out of the box. With help from the app, you can easily establish geo-fences, driving reports, and much more. Batteries are one of the major hinderances when it comes to remote tracking. However, the Optimus 2.0’s rechargeable lithium-polymer battery holds up to 14 days of battery life, depending on the distance it has traveled. Since the device triggers its very own battery life report, you’ll have no trouble remembering when it`s time for a charge. If you’re in need of a reliable GPS tracker that provides 24/7 reports, the Trackmate is a solid contender. 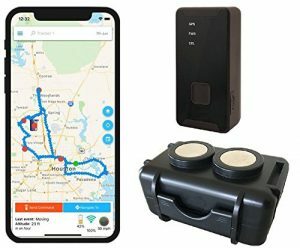 This hardwired GPS connects directly to your vehicle’s electric system, leaving no need for pesky replacement batteries. Once installed, the Trackmate provides detailed data points within as few as 30 seconds of real time. With three-month plans starting as low as $9, this reliable device is a real steal. If you’re looking for detailed data reports, you’ll probably be impressed with the Trackmate’s premium 1-year of unlimited data storage. Of course, you can also opt for a more modest storage capacity, such as the 7-day Saver plan. No matter what type of data storage you choose, you’ll have access to incredibly detailed travel reports. 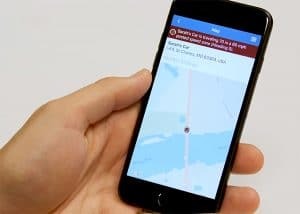 In fact, you’ll be able to tell when and where a vehicle went, the times it entered and exited a designated area, live traffic condition reports, and much more. The Trackmate also enables users to share data with the others. In fact, each GPS offers unlimited user and vehicle connections. That means you can have reports sent to multiple cell phones and emails at the same time. With standard 9- to 30-volt wiring and 6-hour back-up battery, the Trackmate prevents users from missing anything along the way. While many GPS tracker services are restricted to the continental United States, the Global View GPS works perfectly in over 140 worldwide countries. Not only that, but this tracking device has an extensive battery life. In fact, a single charge lasts anywhere from six to eight weeks. What’s more, it is super easy-to-install. As a matter of fact, all you need to do is pat the magnetic case onto the bottom of a vehicle and register it online. Global View plans start as low as $19.99 a month and offer an impressive data package. 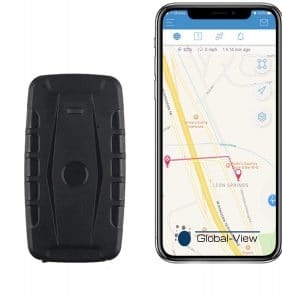 The Global View GPS features advanced tracking software with extensive parameters. It also comes with a pre-installed SIM card for storing data. Once you register your device, you get access to a long list of location and movement metrics. You can even get geo-fencing updates, track the speed of a vehicle, or get altered of certain events. What’s more, the Global View features four unique communication channels, enabling you to share your data with a selected few. Whether you are an employer looking to keep track of your fleet or a concerned parent looking to hone in on a teenage driver, the Global View is the safety guard you don’t want to be without. The Global View GPS has a built-in software feature called Time Machine, which enables users to replay entire trips. On top of that, its battery lasts a whopping two months. As such, you get 24/7 access to your target’s movements. In fact, it won’t even matter if your target crosses over an international border. If discretion isn’t your top priority, this OBD port-compatible GPS tracker offers a convenient in-cab setup. This power 3G tracker generates a wide range of information from basic location services to driver ratings and report cards. You can even set up the tracker so that it sends real-time alerts directly to your phone. Whether you’re looking to see if a driver is speeding, idling, or traveling after hours, the Linxup has you covered. The Linxup software transfers raw GPS data into easy-to-decipher colored graphs and charts. It also highlights important performance factors. In fact, you can even use the app to set up geofences, preset destinations, and boundaries. Whether you’re looking to track arrivals, departures, or restricted activity, the Linxup app enables you to preset your limits. 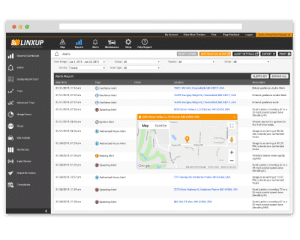 While many people opt to use GPS trackers for personal or safety reasons, trackers like the Linxup have the potential to boost a business’s financial outlook. That’s because the Linxup alerts employers of potentially wasteful or problematic issues, such as frequent idling, excess fuel consumption, after-hours use, or necessary maintenance. In fact, the Linxup also monitors unsafe driver habits, helping to reduce a business’s liability risk. For just $25 a month, the Linxup’s low price may translate to actual cost savings over the course of time. If you’re looking for a portable GPS tracker that works both on and off your car, be sure to check out the Spy Tec GPS. 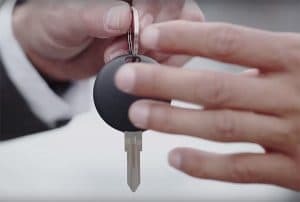 This budget-rate tracking device is less than 2 inches long, making it perfect for tracking everything from vehicles to people. In fact, the SpyTec can be inserted into a backpack, attached to a belt, or even mounted under a vehicle. What’s more, the SpyTec GPS enables you to store up to a year’s worth of historical data. At a mere $25 a month, it’s an affordable service that offers priceless benefits. SpyTec tracks and maps your target’s movements via Google Maps. It offers real-time updates every 5 seconds. Not only that, but it provides text and email geo-fencing alerts. A such, many customers use the SkyTec to keep track of their loved ones (usually children, teens, and elderly) as they arrive and depart from key locations. It’s also popular GPS tracker amongst employers, who are looking to track company assets or vehicle fleets. The M2 magnetic waterproof case and belt attachment piece are sold separately. On its own, the SkyTec boasts a two-week battery life. Meanwhile, you can purchase a battery extender that prolongs the battery life to approximately three months. This enables you to constantly keep track of your target without stirring its suspicion. On top of that, the SpyTec’s data is accessible via app or desktop. Since there’s no cancellation fee or subscription requirement, it’s easy to drop the service, when you no longer need it and/or pick it up where you left off. 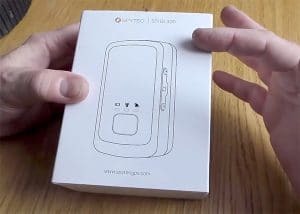 While people purchase hidden GPS trackers for a variety of reasons, most are looking for the same type of device. Read along to discover important considerations when it comes to buying a hidden GPS tracker for a vehicle. 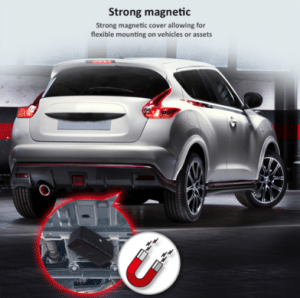 Most hidden GPS trackers consist of a small rectangular box (usually black) that is pre-equipped with powerful magnets, designed to attach to the flat metal bottom of a vehicle. A tracker’s small size and indistinguishable design are what makes it virtually undetectable to an unsuspecting driver. However, with that said, there’s a lot more to these minuscule devices than what meets the eye. 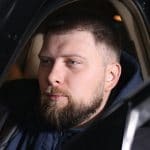 Trackers use satellite signals to generate close to real-time data regarding a vehicle or person’s location, direction, movement, speed, and more. As it would be, these devices work best in places with strong cell service. Though, in some cases, cell service is not completely necessary. Still, some GPS trackers come pre-equipped with a SIM card, enabling it to connect a mobile network. Most GPS tracker manufacturers require that users purchase a subscription to access data. Most GPS tracker data subscriptions range in price from $10 to $25. With that said, users can often choose between basic and advanced plans. Users may be required to buy a monthly or even more extensive subscription. When shopping for a GPS, it is important to choose one that offers a plan that works for you. It’s also important to budget for a subscription in addition to the GPS itself. Keep in mind that you will also need wi-fi or data to access your tracker. Most GPS trackers feature an app or desktop program where users can gain access to their GPS data. Oftentimes, these programs have a set data storage limit, enabling you to reach back into your GPS’s history whenever you like. Most tracker subscriptions cap their data storage at a year, though we’ve seen some that offer a lifetime of record keeping. In fact, we found that the vast majority of GPS trackers pin a person’s location within a few seconds of them being there. With that said, it’s also important to consider a GPS’s physical range. For example, some trackers are only able to accurately pin down a target’s location within 100 feet. Most GPS trackers offer close to real-time data transfers. Hidden GPS’S may be hardwired or battery-powered. 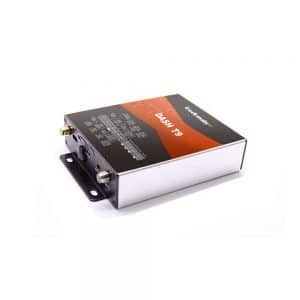 Trackers that can be directly connected to a vehicle’s OBD port typically utilize a vehicle’s onboard battery for power. While this is extreme convenience, these types of trackers are more difficult to conceal and install. What’s more, they typically turn off when the vehicle is not powered on. Alternatively, many trackers feature rechargeable batteries. With that said, customers are often blown away by the dramatic difference in some batteries’ lifespans. Batteries generally last anywhere from a few hours to several months. Keep in mind that there are several factors that can determine a battery’s lifespan. For one, batteries are spent faster when the vehicle they are mounted to is traveling at high speeds. What’s more, some batteries last longer because they have built-in sleep modes that enable them to shut-off when a vehicle is not in motion. Some devices can be preprogrammed to only send alerts at preset times, potentially lengthening a battery’s life span. A basic GPS tracker can record and/or transmit a person`s or vehicle’s movements, locations alongside corresponding times. With that said, many modern GPS trackers can paint a rich and vivid picture of a target’s whereabouts and travels. Meanwhile, some trackers can even report a target’s speed, arrivals, departures, or behaviors. When data is sifted through high-quality analytic software, it can even render and identify useful data trends. Whether you are using a hidden GPS tracker to investigate illicit behavior or simply trying to keep tabs on a dependent child, detailed data helps tell a story of where, when, and everything in between. Mobile apps offer a convenient way for you to keep tabs on your GPS tracker. As such, an app’s ease of use is a huge determinant in your overall tracking experience. 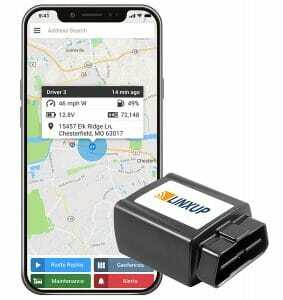 Most GPS apps offer a secure one-way connection to a GPS tracker. This ensures that a clandestine GPS cannot be traced back to its owner. On the other hand, some GPS trackers offer multiple connection lines. This shared monitoring option is often preferred by parents and family members with a mutual interest in tracking a loved one, pet, or asset. 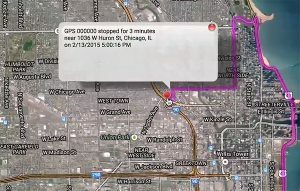 Apps allow you to monitor a GPS’s location. Oftentimes, they also transmit real-time data into helpful charts and graphs. Many tracking apps also enable you to set up geo-fences, or virtual boundary lines. As such, an app may be able to alert you when the target arrives at or leaves a destination. Most hidden GPS trackers are engineered to be mounted to the undercarriage of a car. While this keeps them hidden out of view, it exposes them to a wide range of elements. As such, GPS trackers should be housed in durable water- and dust-resistant cases that are made of hard plastic or metal. On top of that, they should also be able to withstand fluctuating temperatures. Some GPS trackers feature an integrated S.O.S. button. This enables vehicle drivers to call for help in an emergency. An S.O.S. button triggers an alarm, notifying users of the GPS’s location. Do GPS trackers require a data plan? Most GPS signals utilize the U.S. Department of Defense’s satellite system. 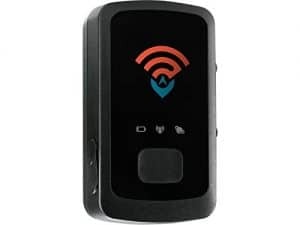 With that said, many modern GPS trackers also feature SIM cards that enable them to connect to private cell towers. These systems typically work side-by-side, with neither one dependant on the other. For the most part, it is legal to put a GPS tracker on a vehicle or asset you own. In general, it’s even okay to put a GPS tracker on a dependent under the age of 18. However, it is rarely alright to track a person or piece of property without their consent. With that said, like most forms of electronic surveillance, GPS tracking has plenty of grey areas to consider. What are the limitations of GPS trackers? For the most part, GPS trackers can only conjure up a location, time, and speed. With that said, these metrics can be combined to generate a more vivid picture. In fact, they can even be used to create and predict important data trends. Therefore, it’s important to shop around for a GPS tracker that offers reporting that fits your personal needs. What are some reasons people use GPS trackers? GPS trackers are used for a variety of reasons. Oftentimes, people use their trackers to hone on their vehicle, asset, or family member. They are used by concerned loved ones, business owners, and even repot companies. Now that we’ve shared our top five GPS trackers for cars, you have all the tools you need to get tracking. These amazing navigational devices feature a world of possibilities all rolled up into a discreet package. Whether you are looking to keep track of your minor child or just add a bonus security feature onto your car, we’ve got five efficient devices.